Donald A. Holbrook Sr. was born in Somerville, NJ on July 15, 1947 to dairy farmers. He grew up on the farm throughout high school. After graduation, he enlisted in the US Air Force and served active duty from 1966 through 1970 with one year in Vietnam. After his discharge he had two years of reserve duty. In 1971 he married the love of his life, Jeanne. They have two wonderful sons who have given them three wonderful grandchildren. Don is an avid fisherman and loves watching car racing. He worked at Harrah’s Atlantic City Casino for 35 years and retired in 2015. In 2009 Don contracted pneumonia and later developed a blood clot in his leg. After a 9-day hospitalization they determined that he had COPD and Pulmonary Fibrosis. There is no known cause and no cure for his disease. Over the past years the disease has progressed. 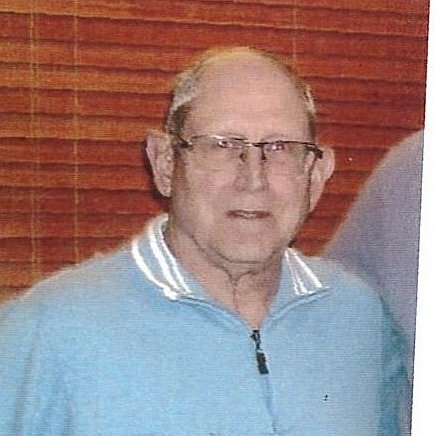 Don was placed on the national lung transplant list on October 23, 2018. We are asking for donations to help cover to help cover the extraordinary expenses we anticipate both from the surgery and recovery but also the anti-rejection drugs he will be taking for the rest of his life. Medicare helps but not enough. Donations should be made in his name to HelpHopeLive.org. Your contributions will be greatly appreciated, and you have our heartfelt thanks! Family and friends of Donald Holbrook, Sr are raising money for the nonprofit Help Hope Live to fund uninsured medical expenses associated with transplantation. Donald has chosen to fundraise for Help Hope Live in part because Help Hope Live assures fiscal accountability of funds raised and tax deductibility for contributors. Contributors can be sure donations will be used to pay or reimburse medical and related expenses. To make a tax-deductible donation to this fundraising campaign, click on the Give button. Our experience through lung transport has been a long and twisted journey. Although the start with the lung transport On December 9, 2018 was without a hitch, we’ve had several hitches along the 4 month recovery. On January 9th, Don had trouble breathing. We took him to the ER in Somers Point, NJ. Don’s kidneys had shut down, his blood pressure was critically low. When the doctor called the local imaging center to get CT results from 5 days previous, it was found that he was collecting fluid around his heart! Temple doctors never got the written report. He was flown by Helicopter from Somers Point to Temple in Philadelphia. Don almost died three times that day. When he got to Temple, a cardiac surgeon put in a drain and took 2 Liters of fluid out of his pericardium and like magic, he felt much better. He had suffered both pulmonary effusion and cardiac tamponade. 8 days later he went home a much happier and healthier man. February came along and his lung kept getting better and better. On the 18th, he was admitted back into Temple’s ER with a little spot of infection on his incision, they opened the top areas and cleaned out infection. The wound was left open with a vacuum pump. Today, the wound is almost closed with no new signs of infection. He is getting out and about without breathing problems and Don is even doing light yard chores, enjoying life! We hope we are past the hiccups and have smooth sailing in our futures! Our medical bills are just a fraction of what we expected, but still putting pressure on the budget. All donations will be greatly appreciated and will relieve the pressure on our financial debt. Thank you. Don got THE phone call Sunday morning, Dec. 9, 2018, at 5 am. We got stuff together and made it to the hospital by 7:30 am. At 11:30 am they collected him to go to the surgery prep room. About 2 pm, his surgeon went by the waiting room saying they just got the lung and would be in surgery. By 5:30-6:00 he was out of surgery. Everything went well with no complications. Day by day Don got better, all tubes and ventilators have been removed and except for a small blood clot in one leg, he is rearing to get home. He will go home with blood thinner as well as his anti-rejection medicine may be as early as Monday or Tuesday! Please donate to his fundraiser so we are not crippled by these bills. Thank you so much doe the donations thus far and the many well wishes and prayers.